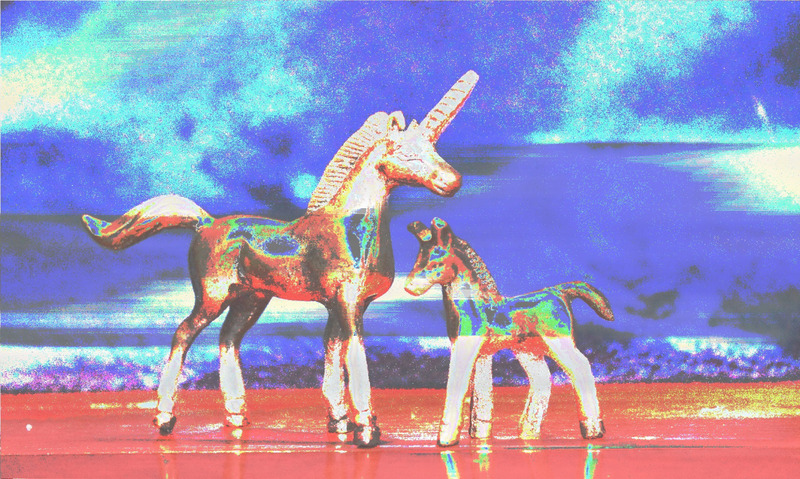 I found these to magical glitch or datamosh’d unicorns via the howtodatamosh Tumblr blog. 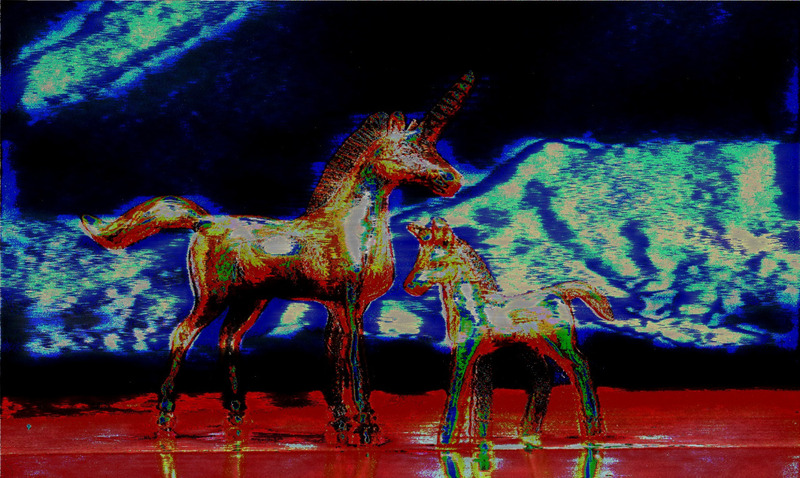 These images have been corrupted or glitched using an imagebending technique that utilises Audacity. Audacity is designed as a piece of sound editing software but if you import an image as raw dat you can then use Audacity’s tools to change that raw data resulting in glitch style images like this. Check out the How to Datamosh website for some easy to follow tutorials.